Today, a courtroom in Regina gets its first official look at Saskatchewan's constitutional case against Ottawa's carbon pricing plan - just the opening round of what promises to be a protracted argument about climate change in an election year. 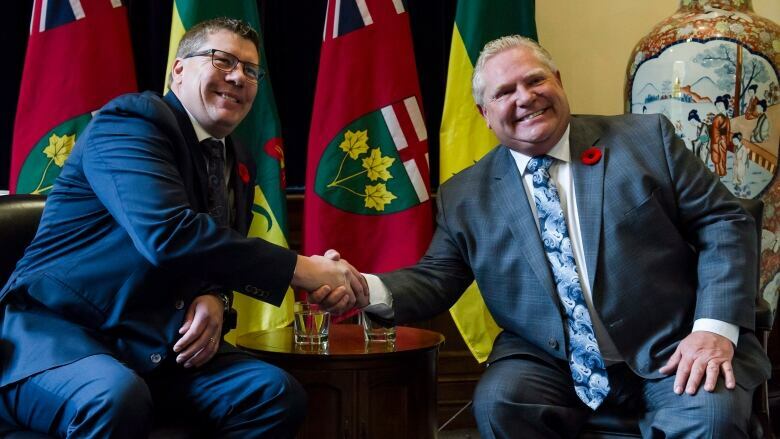 When Scott Moe became premier of Saskatchewan, he vowed to do all he could to fight the federal government's carbon pricing plan, stealing a famous political threat from a former prime minister: "Just watch me." Now, a year later, that battle — pitting several provinces against the federal government — will play out over two days in a Regina courtroom as the province's Court of Appeal hears arguments Wednesday and Thursday on Saskatchewan's constitutional challenge of the carbon tax. The court will decide whether Ottawa has the jurisdiction to impose a price on carbon pollution in provinces that don't have federally-approved plans of their own. Most legal experts believe Saskatchewan doesn't have a strong case. That may not matter to the provincial government itself, or to the governments in Ontario and New Brunswick that are backing Saskatchewan's court play. Saskatchewan's justice minister makes no secret of the fact that the constitutional challenge is at least partly about sending a message to voters. "Politically, it's important for the message to the people of our province that we are sticking up for them, that this is something that's fundamentally important to us as an oil-producing, energy-exporting province," Don Morgan told CBC News. Duane Bratt, a political science professor at Mount Royal University in Calgary, said he suspects Saskatchewan would be content to lose the case in court — because that would make it easier to "go back to their own constituents in their own province to say, 'See? We're fighting for you'." For the federal government, Bratt said, the stakes are higher — with an election looming this fall and both Liberals and Conservatives looking to use carbon pricing as an issue to galvanize supporters. "If they lose this case, even if they appeal it, they will have to spend time on the hustings trying to explain why they lost and why they're going to appeal it," Bratt said. "It would really put a damper on climate change efforts by the federal government." Odds are, however, that this constitutional challenge will end up in front of the Supreme Court of Canada. "Almost all [federal environmental laws] have been upheld by the courts in the last 50 years, with the only exception being one obscure section of the Fisheries Act, which was struck down in 1980," said Stewart Elgie, professor of law and economics at the University of Ottawa. The court proceedings will be divided over two days, with the anti-carbon price arguments happening on Wednesday, along with interventions from Ontario, New Brunswick and Alberta's opposition United Conservative Party. All of the arguments will be live-streamed by CBC News, after the court approved a media request from the CBC and other outlets. Environment Minister Catherine McKenna said the public attention doesn't bother her at all. "I think transparency is great," she told CBC News. "We need to have a conversation about this. We need to stop having these Conservative politicians fighting everyone else on serious climate action. I don't want to fight in court. I want to fight climate change." McKenna added that the decision on Ottawa's climate plan ultimately will be in the hands of voters this year, while she agrees the constitutional challenge will end up on the Supreme Court's plate. "This certainly is not the end of the story," McKenna said. Assuming nothing else changes, the carbon pricing plan will be back before the courts in April, when a court challenge instigated by the province of Ontario begins. 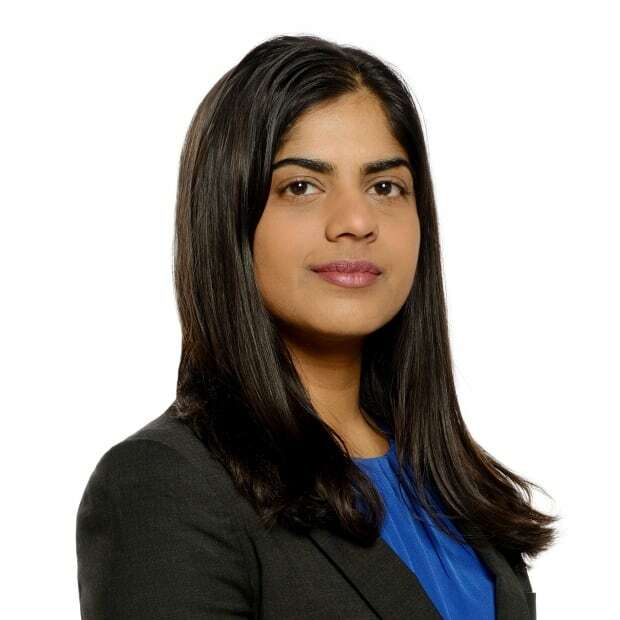 Salimah Shivji is a senior reporter with CBC's Parliamentary Bureau.